Some people go in quite rough and tumble when it comes to stroking their cat and then they wonder why the cat has scratched them and reacted in an un-expected way. 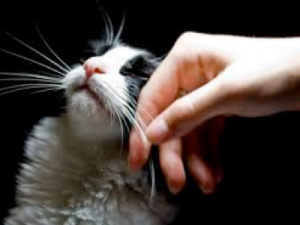 US cat behaviourist Jackson Galaxy demonstrates, in a short You Tube clip, how to properly pet your cat and reap the rewards from doing it correctly! Courtesy of Animal Planet.